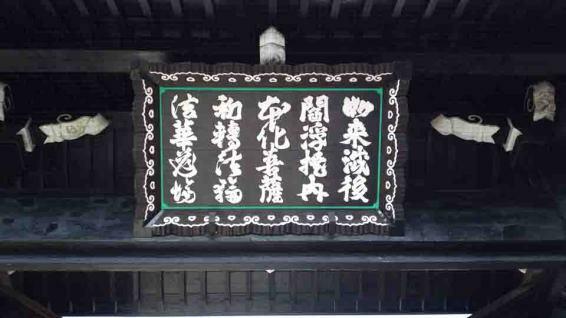 The Kuro-mon Gate ( The Black Gate) And The Framed Letters In Nakayama Hokekyo-ji Temple is designated as the tangible cultural property by Ichikawa city. 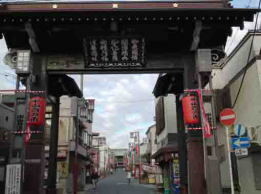 The So-mon Gate (The Main Gate) is commonly called the Kuro-mon Gate (The Black Gate), it stands on the approach from Keisai Nakayama Station. Visitors taking off at Shimousa Nakayama Station and Keisei Nakayama Station first pass this gate. This gate is the So-mon ( the main gate) of Nakayama Hokekyo-ji Temple, but all parts belonged to it was painted in black, then it is called Kuro-mon ( the Black Gate). 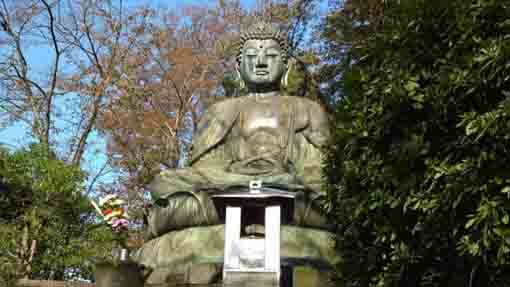 The date of construction is unknown, maybe it was built the same ages of the Akamon's in early Edo Period. The architectural structure of the gate is called Korai-mon gate style that is made of two squared main pillars and two round sub pillers, and a thin gabled roof was put on the top of the main pillers, below the rooof, small gabled roofs are put on the main pillars and sub pillars in each. Originally, Korai-mon gate was used in the castles, therefore they usually have doors. But there are no marks that doors put on, therefore it might have had doors since it had been built. After constructed, it had repaired several times because the sub pillars are earthfast post, then they need to exchang every fifty years, and it also needs to reroof and paint on. 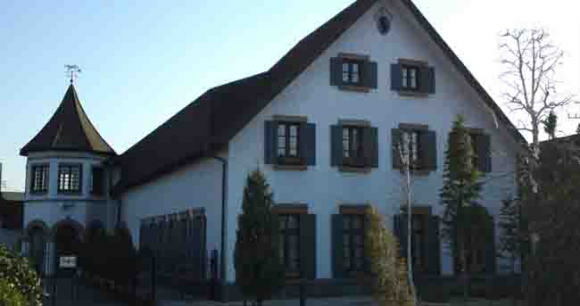 The main structure including the main pillars has remained the original style. 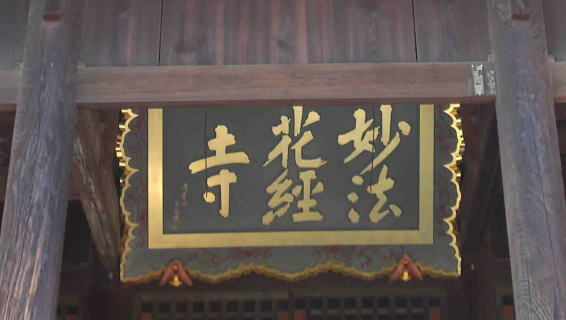 Besides the framed letters on the gate was written by Sukenobu Ota, the lord of Kakegawa in 1793. 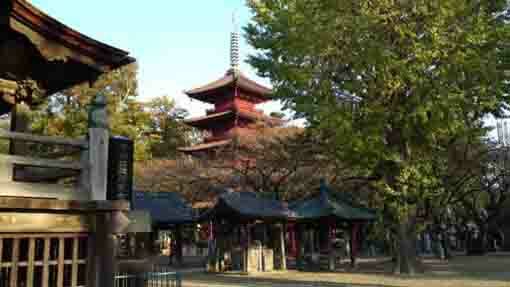 It is also designated as the tangible cultural property by Ichikawa city. The frame was painted and the letters were carved in low relief. 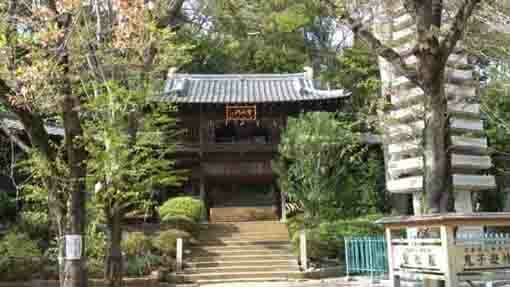 It started frome July of 2009 and spent seventeen months to tear down and repair the Kuro-mon gate. The fudation newly made of concrete, and the sub pillars are exchanged. And the coppers on the roof shingles were changed, then the gate was painted. In addition, the framed letters were fixed. The Ota family is descendant of Seiwa-Ganji Clan, one of the noble family of samurai. The son of Yorimasa Minamoto, Kunitsuna moved to Ota-go, Kuwata-gun, Tanba-no-kuni (West part of kyoto), then the descendant, Sukekuni named Ota, thereafter the family has called Ota. Sukekuni moved to Sagami-no-kuni (southern part of Kanagawa Prefecture), then his son served Ougigayatsu Uesugi Clan (One of the most influential clan to control Kanto region and one of the chief counselors of the shogun) and he built the castle at Kawagoe in Musashi-no-kuni (Kawagoe city, Saitama Prefecture) and controlled the area. Sukekiyo also became the principle retainaer of Ougigayatsu Uesugi and the vice military govenor of Sagami. In the battle of Kyotoku (1455), he fought against Nariuji Ashikaga to guard Akifusa Uesugi. Sukenaga, the son of Sukekiyo, built the castle at Edo (Tokyo), so he is the popular samurai, so called 'Dokan Ota'. He famed in the fought against Kageharua Uesugi in 1476. However, he was assassinated by his master, Sadamasa Uesugi in1486. His son named his direct descendant family Edo Ota Clan, and he based in Edo. 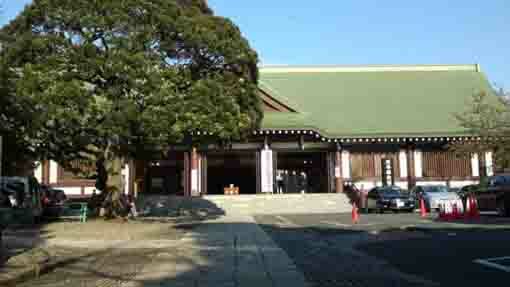 In 1524, Suketaka Ota surrendered to Hojo Clan in Odawara (Kanagawa prefecture) and opened Edojo castle. In 1564, Yasusuke Ota set himself against Hojo,but was defeated, then the family were brought to ruin. After that, the descendants of Dokan Ota served Hojo in Odawara, Satomi in Awa-no-kuni (The southern Chiba prefecture)and Satake in Hitachi-no-kuni (Ibaraki prefecture), finally the Ota served Tokugawa Clan, the Edo Bakufu in Edo. The Ota has kept the position of Daimyo (the lord) until Meiji Era, and the family recieved a viscount. Sukenobu Ota (1762-1808) who wrote the framed letters on the Kuro-mon was the third lord of Kakegawa-jo castle in Kakegawa city in Sizuoka prefecture. Take 0 minute walk from Keisei-Nakayama Sta, and take 3 minutes walk from Shimousa-Nakayama Sta.